This month, Mexican wolf pup “Connie” from Brookfield Zoo was safely fitted with a GPS radio collar by U.S. Fish & Wildlife Service (USFWS) biologists, and released back into the wild to join her pack. As you might remember, back on April 22, 2017, a female wolf Zana gave birth to a litter of five pups at Brookfield Zoo. 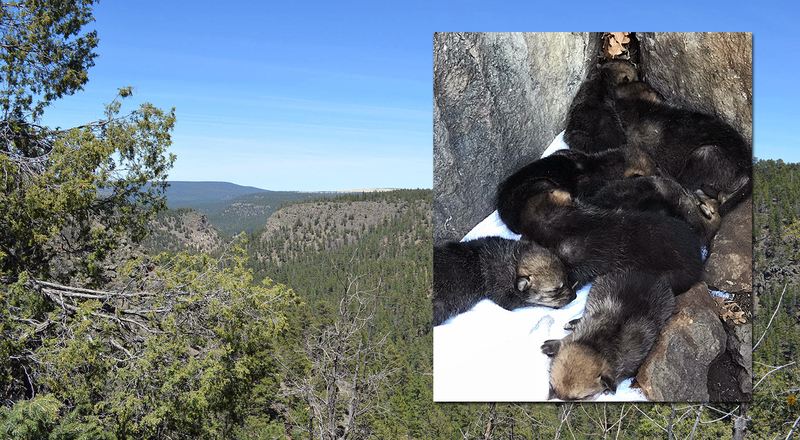 Subsequently, the USFWS Mexican Wolf Recovery Team proposed a cross-fostering, which is the transfer of young pups from one litter to another litter of similar age so that each receiving pack raises the pups as their own. 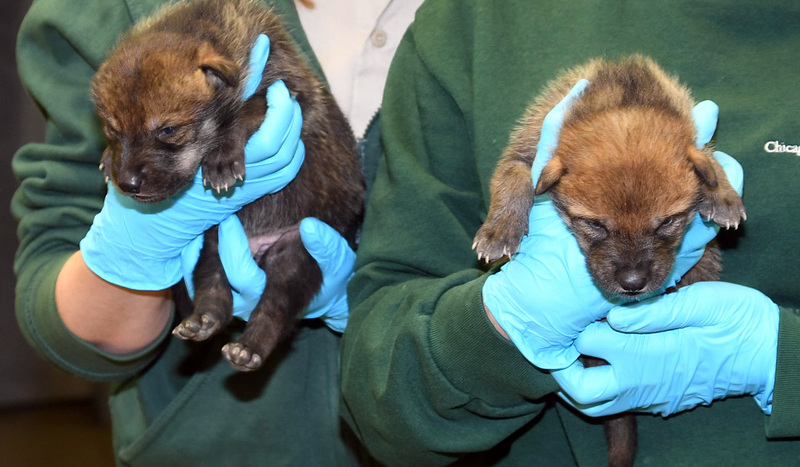 The objective was to place two pups from the Brookfield Zoo’s litter with a wild pack and place two wild-born pups in the Zoo’s pack. In early May of 2017, Connie, and her sibling Dennis, were successfully transferred from Brookfield Zoo and placed in the den of the San Mateo wolf pack in New Mexico. In return, we received siblings Mateo and Springer who are thriving in their foster-pack here at the zoo. We now have a large multi-generational pack of 10 wolves which includes Zana, Flint, 2017 puppies Jeff, Temp, David, Mateo, and Springer, along with 2016 yearlings Rio, Azul, and Ela. USFWS Biologists are hopeful Dennis has also survived as there are additional puppies travelling with the San Mateo pack. Attempts will be made to locate and radio-collar him during the annual census. The 2016 fostering of two Brookfield puppies, Brooke and Blaze, to the Elkhorn pack in Arizona, was also considered successful as Blaze was located during the annual census and fitted with a radio collar. We are hopeful Brooke has also survived as there are additional yearlings still being sighted with the Elkhorn pack. Further attempts will be made to locate and radio-collar her during the annual census. 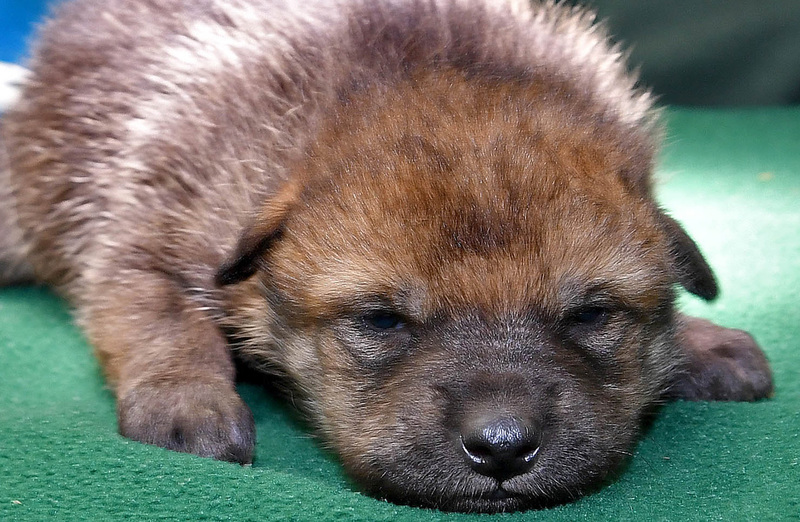 This is very exciting and promising news for the Mexican Wolf Recovery program as it demonstrates fostered, and now cross-fostered puppies, can contribute to the recovery efforts. Wolves are amazing parents and are even able to successfully rear foster puppies with the help of the pack!